Flint’s recent water crisis is a stinging reminder that the infrastructure we often take for granted has many vulnerabilities. The crisis also underscores the complexity of providing communities with safe, high-quality potable water. Water utilities interested in using a new river water source, as the city of Flint was last year, would normally hire engineering firms to conduct detailed studies of the raw water quality and pilot studies to evaluate various water treatment process options before choosing a treatment approach. As a researcher on water disinfection and professor of civil and environmental engineering, I know that a planning period of at least two to three years to get to a ribbon-cutting for such a facility is normal. The design of these systems is iterative by its nature and requires input from multiple stakeholders at various points in the design process. 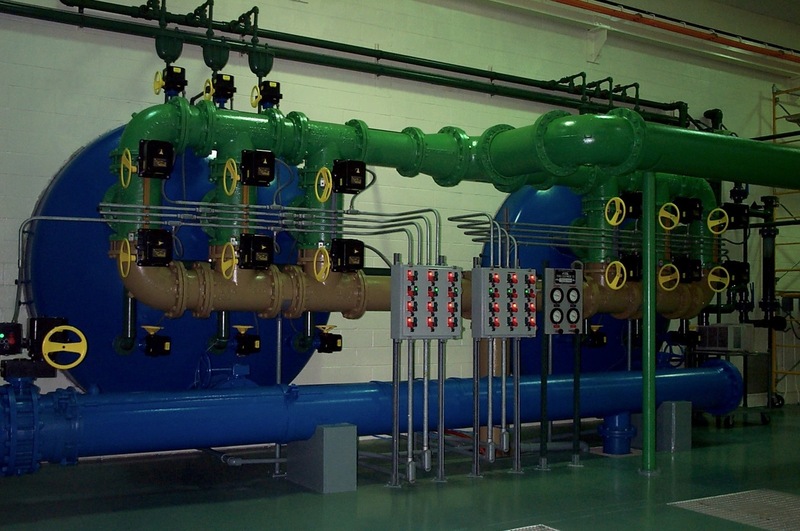 Why is the design of a new surface water treatment facility so complex? 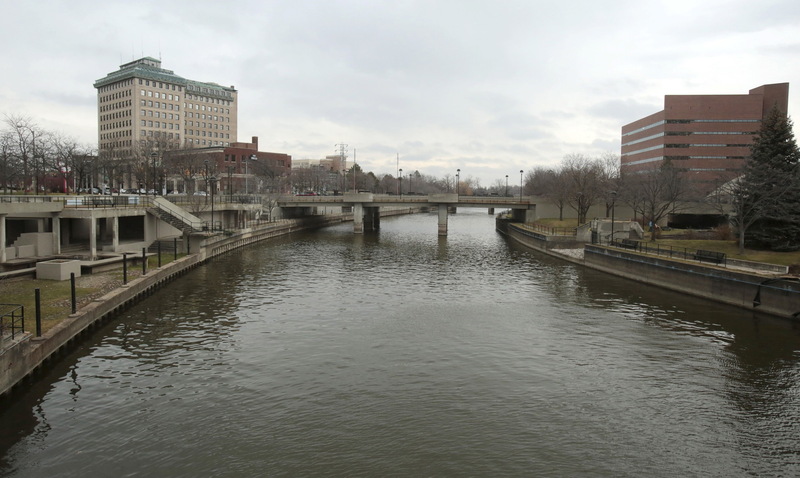 Water quality issues in Flint began with the decision of city officials in 2014 to switch from buying treated drinking water from Detroit to treating Flint River water themselves using a city-owned treatment facility. The switch was considered a temporary money-saving “fix” to provide the city with drinking water until they were able to join a new regional system, the Karegnondi Water Authority. A 10-month, US$171,000 engineering effort was undertaken to equip the Flint plant to treat Flint River water before it was put into service. Sources of drinking water supply, in general, include groundwater and surface waters, such as lakes and rivers. Among those water sources, rivers present the greatest treatment challenge. Relative to groundwater, surface waters tend to contain more particles, microorganisms, organic matter, taste- and odor-causing compounds, and many types of trace contaminants. On average, surface water also tends to be more corrosive than groundwater. Beyond the challenges of designing a treatment approach tailored to the source water, water quality engineers must consider myriad engineering, regulatory and financial constraints during design. In recent years, the cost of chemicals used to treat water has increased at rates well above inflation. Based on a 2009 report published by the Water Research Foundation, the average price of phosphoric acid, a chemical that can inhibit corrosion, increased by 233 percent in 2008 alone. These anticorrosion chemicals are used to prevent lead and other metals in the pipes from leaching into the water. At the time Flint decided to treat its own water, chemical costs were still increasing. Many utilities treating surface water are under pressure to look for less costly approaches to perform chemical treatment. Yet particle removal, a critical step used to treat surface waters like the Flint River, is a chemical-intensive operation. Iron and aluminum salts are typically coagulants added to water supplies to help aggregate particles so they can be effectively removed through settling. There are many types of iron and aluminum coagulants, and they have different degrees of effectiveness depending upon the quality of water being treated. Coagulant choice is an important design decision; therefore the choice of coagulant should not be based only on cost. For example, each coagulant has to be optimized to enhance removal of natural organic matter in the source water. If too little organic matter is removed, it will react with chlorine disinfectants in the water to form hazardous by-products. A switch from sulfate-based to chloride-based aluminum or iron coagulant salts also alters the chloride-to-sulfate ratio in water. It was this ratio that Dr. Marc Edwards, a faculty member at Virginia Tech, linked in 2010 to higher lead concentrations in vulnerable distribution systems with pipes made from lead. The Flint treatment plant relied on iron chloride coagulants, which may have contributed to the corrosivity of the water. Because of Flint’s method of treating Flint River water, it experienced problems with elevated trihalomethanes, a regulated class of disinfection by-products that are known carcinogens. A domino series of causes and effects were responsible for this problem. The Flint River is naturally high in corrosive chloride. Therefore, iron pipes in the water distribution system began corroding immediately after the initial switch from Detroit water. The iron that was released from the corroding pipes reacted with residual chlorine that is added to kill microorganisms, making it unavailable to function as a disinfectant. Providing adequate disinfection while minimizing disinfection by-products is a challenge faced by most utilities even under the best of circumstances. The problems became intractable in Flint due to the excessive corrosion of the pipes that deliver water to people’s homes. The science of pipe corrosion in drinking water systems is complex and not completely understood. Corrosion control occurs when naturally forming minerals deposit on pipe walls, thereby protecting the iron pipe surfaces from exposure to oxidants in the water. Changes in water quality sometimes dissolve these mineral coatings, exposing the pipe to corrosion. In iron pipe systems, the released iron corrosion particles are visible, causing colored and turbid water. In older distribution systems, where lead service lines are often still in place, corrosion then releases lead and copper. Corrosion rates can be affected by many factors that are not well-understood, including the presence of bacteria that colonize the pipe wall, as well as pipe age and water flow rates. Because of the uncertainties around leaching, the majority of utilities treating surface water add phosphate corrosion inhibitors to control corrosion. They devise doses based on the water industry’s experience, rather than on rigorous scientific calculations. Empirical tests known as “loop tests” are commonly used to assess the effectiveness of corrosion control strategies applied to a given water distribution system. There is no record that such tests were performed in Flint. A critical cost-saving decision made by Flint not to use corrosion inhibitors, especially when water previously supplied by Detroit did contain them, should have raised concerns. Evidence to demonstrate that inhibitors were unnecessary was a minimum common-sense requirement. Ignorance among utility personnel and water quality engineers of the importance of corrosion control management and its subtle linkage to decisions made elsewhere in the treatment plant unfortunately also played a role in this story of unintended consequences. In many water treatment textbooks, the topic of pipeline corrosion is covered as an afterthought. Flint’s experience should serve as a siren call to the profession of water quality engineers to remedy this oversight. By not adding a corrosion inhibitor, Flint was going to save about $140 per day. But the inestimable costs of the errors made in Flint will reverberate through the community for a long time and their magnitude will dwarf the original planned savings. Replacement of Flint’s lead service lines, which is the only permanent solution to address its lead vulnerability, is estimated to cost up to $1.5 billion, according to Flint’s mayor, Karen Weaver. Investment of funds in infrastructure that might have made a large dent toward solving the problem permanently must now focus on monitoring, alternative water sources, point-of-use treatment filters, health costs and restoring the badly eroded trust of the community. Given the complexities and uncertainties in producing safe potable drink, a nonnegotiable respect for the necessary planning and testing steps of any new system is paramount to prevent such incidents as we’ve seen in Flint. A lack of due diligence in planning will always cost more in the end. The author acknowledges the contributions of faculty collaborators Lutgarde Raskin, Nancy Love, Glen Daigger, Michele Swanson, Krista Wigginton and Kim Hayes, who are part of a Flint water research team at the University of Michigan. This article is written by Terese Olson, Associate Professor of Civil and Environmental Engineering, University of Michigan. It was originally published in The Conversation under a Creative Commons Attribution No Derivatives license. Read the original article here.